Here we review the anime streaming sites on the internet and select the 10 best free anime sites that are reliable, well-remarked and have plenty of anime resources. 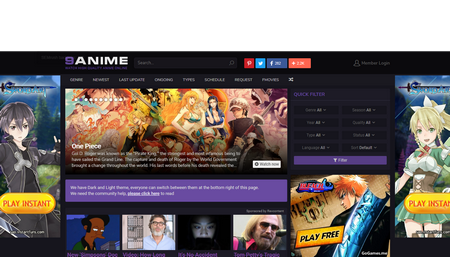 Follow this article to find the best anime sites to watch anime for free. 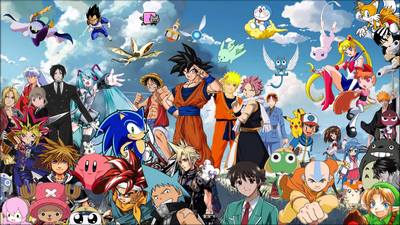 Anime usually refers to Japanese term for animation and it is popular with people around the world. Many people, especially the young, love Japanese-style animated videos and movies. Absolutely I’m one of them. Most of you must put in a lot of effort to find where to watch anime online free or best anime websites as I do, for satisfying the endless hunger of binge-watching. To save time, I have reviewed the watch anime online websites and make a list of the best 10 anime streaming sites for free. You can directly visit these anime sites to watch anime without any cost now. Free HD Video Converter Factory is a useful anime downloader to download anime from YouTube, Facebook, Dailymotion and other watch anime online websites. In simple clicks, you’re able to save favorited animes and play them on PC, mobile phone, TV, tablet, etc. KissAnime.ru is one of the well-known anime streaming sites. Based on the popularity and release time, the anime sources are classified into different sections including New & Hot, Recent additions, Most Popular and Latest update. The navigation bar on the top lists the related websites for users to read Mange, novel and watch drama. Without registration requirements, KissAnime.ru enables you to watch anime from 240p to 720p even 1080p. Notice that when you open the video player page, you may need to answer the captcha and the irrelevant ad pages would pop up. Generally, KissAnime.ru is a great option to watch and stream videos. 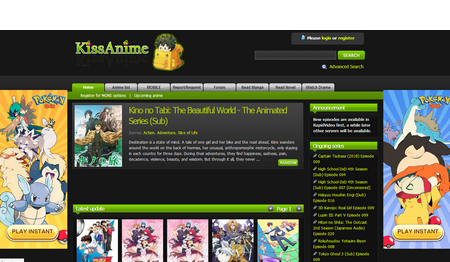 9Anime is a well-organized website with huge database that you can’t miss. The user-friendly IU, fast video processing speed and rich features make 9Anime stands out from the similar watch anime online websites. There are various genres like Action, Fantasy, Adventure, etc. and different tabs including Newest, Last Update, Ongoing and more. So you can quickly select the desired type of anime. 9Anime even offers the sweet Request option for users to require anime series that can’t be found on 9Anime. Another highlight is that 9Anime provides English dubbed anime online in high definition. AnimeSeason is a compact site to watch anime online free. It keeps constantly update and you’ll totally be surprised by its massive anime resources and high quality videos. 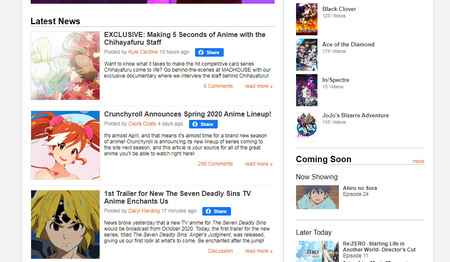 AnimeSeason doesn’t provide Quick search option but the navigation bar on the left almost lists all the series and categories, specially the most popular anime with the most number of votes from its supporters. So you’re able to locate the target anime easily. The embedded video player enables you to watch online subbed anime with subtitles smoothly and you’ll never bother by disturbing ads. 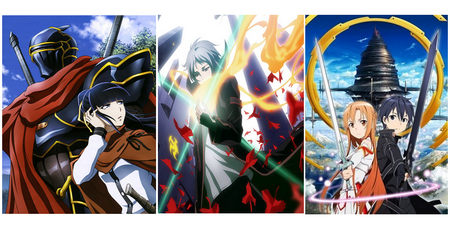 AnimeSeason is one of the reliable and popular watch anime online websites. It’s worth a try! 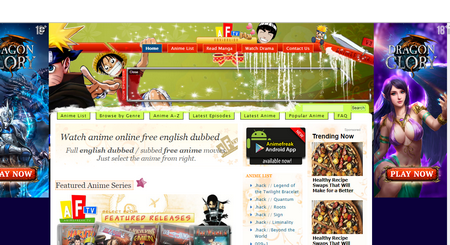 On AnimeFreak.tv you can watch full English dubbed / subbed free anime movies. 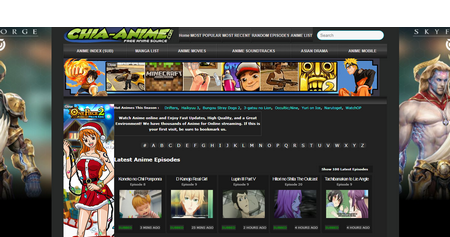 So far, AnimeFreak.tv has over 10000 anime episodes and adds new animes daily. Besides, it has its own Android app. 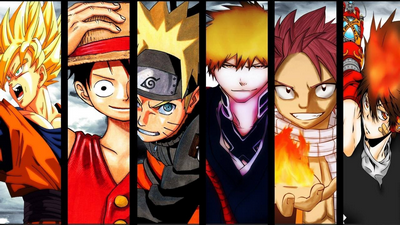 You can not only watch famous anime like Naruto Shippuden, One Piece, Toriko but also watch manga on AnimeFreak.tv. 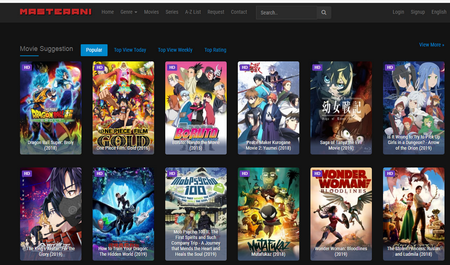 However, compared with other anime streaming sites, AnimeFreak.tv doesn’t have a well-designed interface as the anime lists on the homepage are too disorderly to be located. 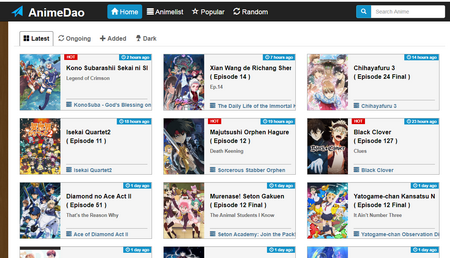 To find desired anime, you’re supposed to use the Category navigation or the quick search option. If you like neat and elaborate interface, undoubtedly, MasterAni.me is the best choice. The site is modern-designed and easy to handle. A plenty of HD/Full HD English dubbed anime are available and you can search anime by Score, Title and different types including TV, Movie, OVA, Special, ONA as well as the statues (Completed/Ongoing) based on your preference. To watch an anime online, you just need to click on the cover of it. Then you will see the synopsis, genres, and other information. Then click each episode to directly play the anime. To access to more features, you need to sign in. 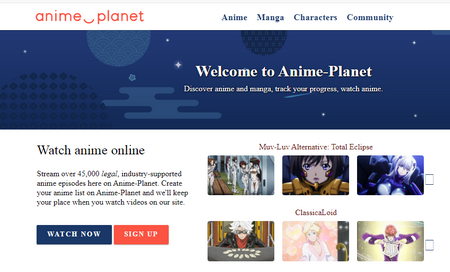 Among kinds of anime streaming sites, Anime-Planet is a highly recommended site featuring massive database. The site collects from 40,000+ legal streaming anime videos from Crunchyroll, Hulu and Viewster. And the latest anime and manga are added constantly. If you want to watch the popular anime or manga 2018, Anime-Planet will never let you down. Of course, there are many classical anime series. Although Anime-Planet allows you to watch anime online free without login, you’d better to log onto accounts to update your anime list automatically or discuss with the members. For my part, the greatest feature of AnimeHeaven.eu is its straightforward interface. Everything is designed in a bold way. Users can easily locate the desired types of anime. On the top left of the Ul, the navigation bar contains different categories including Anime, Dubbed, Movies, Genres, Ongoing, Popular and so on. I have to say that’s is a really user-friendly design as it takes account of virtually all anime fans’ needs. For an example, in the Genres tab, you can even find plenty of anime based on novel or mobile game. AnimeHeaven.eu has a chat-room so you’re able to talk with more anime fans. All things considered, I include it in the list of the best watch anime online websites. Chia- Anime.tv has the fast updating speed, various HD videos and is easy to use. Its updates are added in real time, which is much faster than other anime streaming sites. Besides Japanese anime, there are plenty of popular Chinese animations that are well worth seeing. You can watch anime free on PC and play them via mobile devices. It’s also a good site to download video, as well. The interface is relatively clean without pop-up ads and understandable. Although Chia- Anime.tv supports both subbed and dubbed anime, the number of subbed anime videos seems to be much larger. Where to watch anime dubbed in English? Animeland.tv is the recommended option. It’s a special dubbed anime sites in English and most of the videos don’t have subtitles. So if you are a native English speaker and want to watch anime without subtitles, Animeland.tv would be your perfect choice. So far, Animeland.tv offers over 45,000 Anime Dubbed Episodes with high quality and many big names like Naruto, One Piece and Bleach are available. The Navigation bar is straightforward. Just start searching and watching kinds of anime series and movies at ease. AnimeStreams.tv is a simple anime stream TV site. The website is well-organized without any popup ads. The easy navigation is self-explanatory. 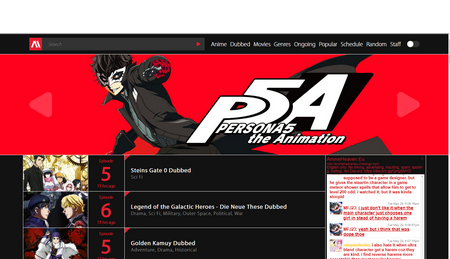 The navigation bar lists the pages including anime movie, ongoing, English sub and dub, A-Z list for searching anime by Initials, and requesting anime that you can’t find on AnimeStreams.tv. Compared with other watch anime online websites, AnimeStreams.tv has relatively fewer popular anime resources, yet it’s still a good choice for anime fan. Tips. Some websites may require you to turn off ad blocking plug-ins for normal playback, yet do not believe in any misleading ads or popups when your open anime sites to watch anime for free. If you have any other good anime streaming sites, you’re welcome to share them with us. Stay tuned for the constantly updates on the best anime websites! In addition the review of where to watch anime, we also offer the review of the best anime music websites >> 2018 Top 7 Websites to Download Anime Music in MP3. Free HD Video Converter Factory is a well-remarked video & audio downloader that is popular with anime fans. With it, you can download online anime freely and convert videos to MP4, AVI, MOV, FLV, 3GP, etc. More other advanced features will make your visual experience more enjoyable. It’s worth a try!